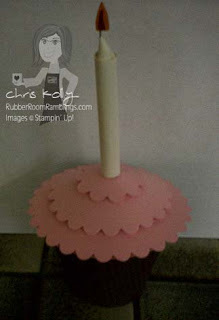 Rubber Room Ramblings: CUP CAKE AND CARD! I recently purchased some patterns from Lynn Pratt, and they are so fun! 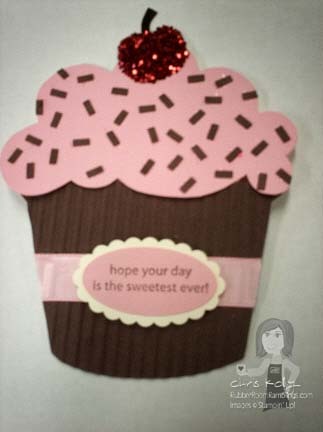 This is a cupcake cup and a matching card. The little cup would make a perfect place setting at a birthday party. You can take the top off and fill it up with goodies!